Getting ready to get to be dyno in my car, just a few odds and ends to tie up first. Just looking to see what to expect. Car has a forged iron block 370. -3.2cc relieved flat tops. 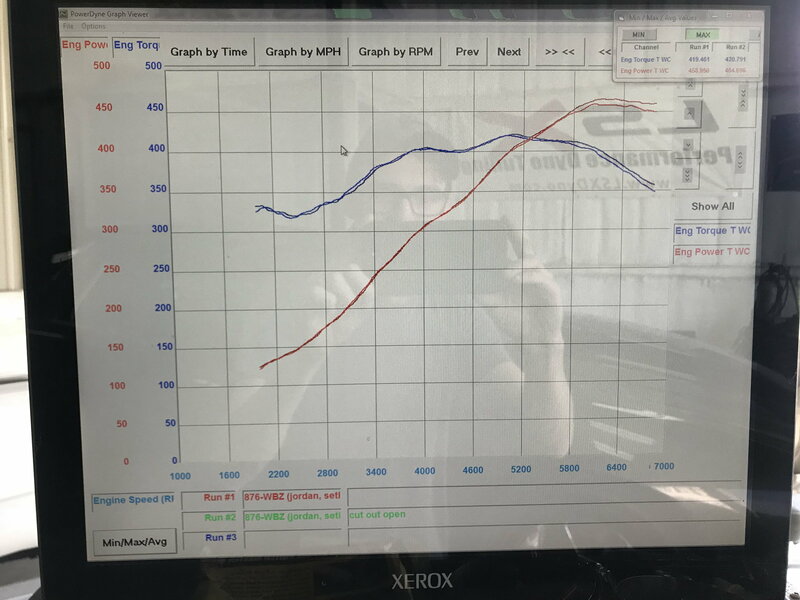 TFS 220's hand ported w/ 60cc chambers, .040" Mls gaskets, ~11.7:1 CR, 235/238 .638”/.615” 113LSA +3 advance custom cam, fast 102, nw 102, 42lb injectors, 255walbro in tank, arh 1 7/8" long tubes. Through a 3" catted y pipe and magnaflow cat back, does have 3" e cutout in I pipe also. T56, chromo Ds, to 3:42 geared trutrac 10 bolt. Looking for ~500rwhp. Whatcha think?! I have a very similar setup. I run a forged 370 as well, and with my mods in my signature im probabaly around 450 rwhp if i had to guess. Never had it on a honest dyno with the new setup, but based on how it runs i really dont think im much over 450-460 to be honest. With that said i think 500 is really pushing it with your setup but since dynos can vary quite a bit who knows. So have you got it on the dyno yet? 480+rwhp with a good tune. The 370 has bore size in it's favor over stock LS2 and all LS1's, You've got compression and a good size cam with 1-7/8 headers. Just how good of a job was done on those heads is a key factor but .040 head gasket and tight quench is way in your favor, good luck. All of you were pretty close. She put down 464rwhp, 420rwtq. Also if you have a 2.5 in. outlet like most y pipes have I would get rid of it and get a flow master merger in there. I would guess it would free up a lot on that build. This was on a mustang dyno also, which subjectively may read lower. Car feels great, pulls hard and far( 6800rpm on dyno) numbers are just numbers. This is through an American racing 3” catted y pipe which I think narrows down to 2.75” after the merge then into a magnaflow catback which is single 3” i pipe with a cutout under the rear seat and out of the muffler with (2) 2.5” tips. If you look at the graph cutout open/ closed pulls back to back only picked up like 6hp and 1ftlb with it open, so surprising the magna flow flows pretty damn good imo. Im pleased with the way it turned out and the car feels great. I’ll post video later. Losing ONLY 6HP thru the muffler? I can live with that! Looks like you are too! Nice job! yes sir, cant really complain about that. lol the only thing i may change up a bit is the exhaust to a custom true dual setup over the axle. I agree with G Atsma, if you like the sound of it just leave it be. Hey buddy where did you get that car tuned at here in town? also did you ever ever think about running a mufflex 4" y? Don't pay any attention to HP curve. TQ's curve shows engine can make higher peak power higher in RPM range, it's curve determines HP Number. Look at the TQ's curves shape as it goes across the RPM range to 5225. It moves upwards to slightly over 400 Ft Lbs at 4,000 RPM, then drops back to 400 Ft lbs, until at 4500 RPM it moves upwards to it's peak at about 4800 RPM then starts to drop off. I think engine's peak TQ can move up to around 440-450 at 5000 RPM, with a slower rate of drop farther into the RPM range, taking HP higher and carrying it farther out across RPM range from were it starts to drop off now. You figure out what's causing the TQ"s curve to not make a nice broad flowing curve, and you will get all of the potential of the components that make up that Engine out of it. Around 475+ HP on that Mustang, 500+ on a Dyno Jet. But better than that, a higher broader TQ curve that revs quicker, an carries usable HP out further across RPM range than what you have now. You almost there, just need one more component to go with one your have, placed correctly. 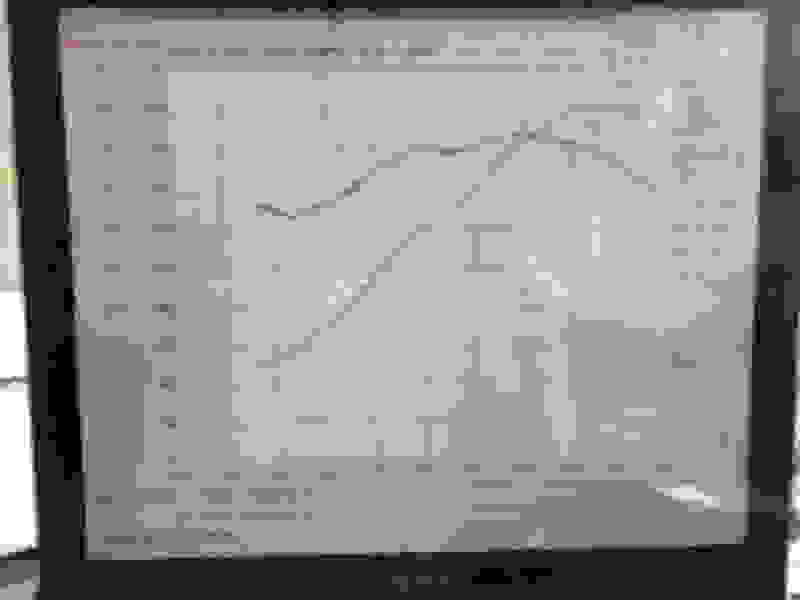 Last edited by poorhousenext; 07-23-2018 at 11:30 AM.